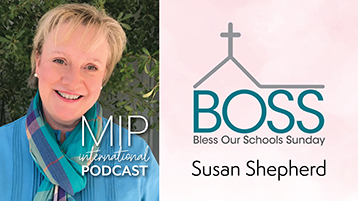 Lee Nienhuis talks with Susan Shepherd, Moms in Prayer USA Country Coordinator, about Bless Our Schools Sunday (BOSS), September 16th. This is a day when churches around the world pray for the schools, teachers, staff, and students in their congregations. Find more BOSS information and resources.